Whitley Chapel appears to have originated as a pre-Reformation chapel on a mediaeval site. The east window stonework is mediaeval and has been incorporated into subsequent buildings. Some interesting and amusing records provide a little of its history. “There had been in old time a little chapel, by the wayside which leads from the head of the shire of Hexham, where a branch of it turns off to the east to the Steel and Duxfield mills, dedicated to St Helen, commonly called Whitley chapel, which had been entirely ruin’d and rebuilt by subscriptions sometime before the restauration to teach school; and the neighbourhood to meet on occasion”. “the Quakers from distant parts meeting in the said Chapel hill, and great numbers out of curiosity resorting to them, the said chapel was made fit and appropriate to divine service”. It was this which probably prompted the church authorities to make the place fit for Anglican services. To this day a wetland area south of the Church is known as Quakers’ Hollow. Abraham Brown, then Master of the Grammar School in Hexham, was appointed the first curate in 1748, and served for 60 years until his death in 1812 aged 92. 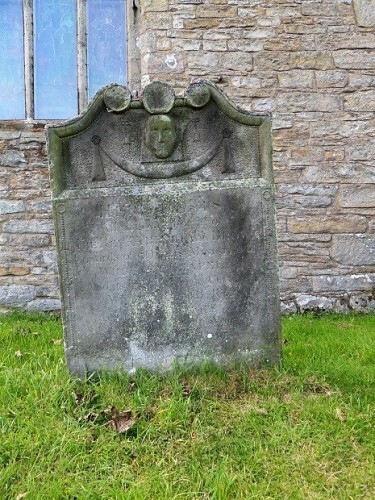 He is buried together with his wife in the church yard below the east window. In 1752 churchyard ground was established and the churchyard itself was consecrated on 6th July 1764. The estate of Mollersteads was purchased to provide a permanent endowment for the curate Reverend Abraham Brown who was then appointed as the first perpetual minister. Extensive alterations and repairs were undertaken in 1836; the church being reroofed with slates instead of stone flag tiles, and pews repaired. Unfortunately the church was then for a long period of time not suitable for services, partly due to the delays and financial problems of rebuilding but also that no curate was in attendance. Christenings and marriages were performed at Slaley and Hexham. In 1837 the ecclesiastical connection with York was terminated and the church became subject to the Diocese of Durham. Subsequently it was included in the rural deanery of Hexham within the Archdeaconry of Northumberland and then transferred from Durham Diocese into the Newcastle diocese. Improvement and repair has continued. At the turn of the 19th Century the gallery at the back was removed and the vestry added. 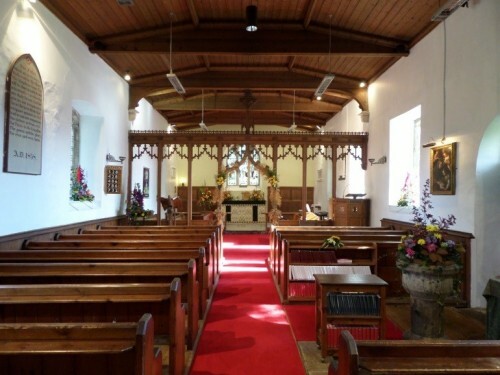 In the 1920s the oak screen, pulpit, litany desk and oak panelling were installed. The first Tilley lamp and boiler were installed in 1938 and the oak lectern provided in 1943. Electricity was installed as late as 1956 when the boiler was decommissioned and electric heating provided. The churchyard was extended firstly in 1946 and again in the early 21st century.